Buhunds are Norwegian dogs that are similar to Spitzes. Tricky & Cash are the first Buhunds I have ever heard of, and they are beautiful. 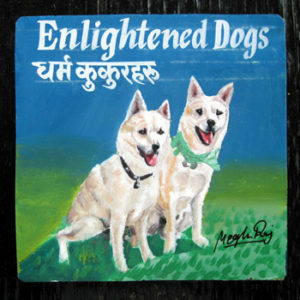 Megh Raj Thapa hand painted this handsome pair of Norwegian Buhunds on metal. Tricky & Crash are Wheaten Buhunds and look happy in their portraits. 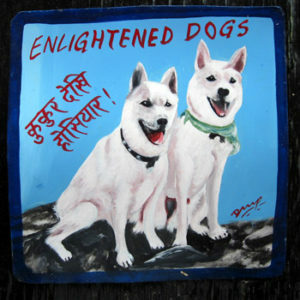 Dilip Niroj hand painted this portrait of Tricky & Crash, a pair of Norwegian Buhunds on metal.